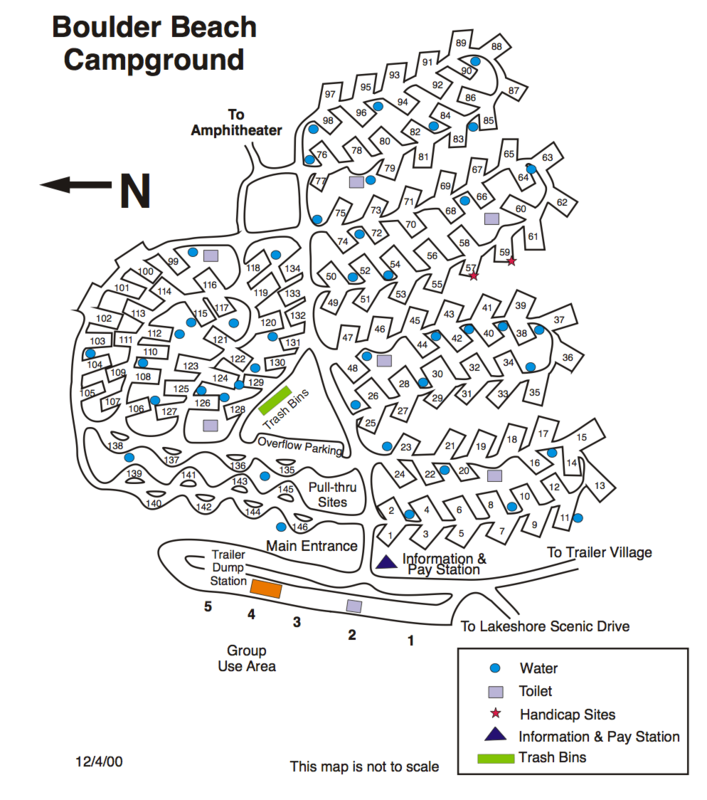 Boulder Beach Campground is a great family campground with 154 campsites located on a bluff overlooking Lake Mead. All sites have fantastic views of the lake. There are 115 RV campsites with electricity, water, sewer and Cable TV. WiFi is also available at most campsites. Each site has a table, fire ring and grate. Boulder Beach Campground has plenty of amenities including drinking water, flush toilets, hot showers, a laundry, camp store, RV dump station and picnic area. There’s also a marina, boat ramp and boat rentals. As you can imagine, there’s plenty of fun stuff to do here and at the top of the listing is boating and fishing. In addition, you can water ski, swim, wake board, windsurf, kayak, canoe, hike, bike, stargaze, photograph and picnic. You can also drive over to nearby Boulder City to shop, hit a few restaurants and see some historic sites. 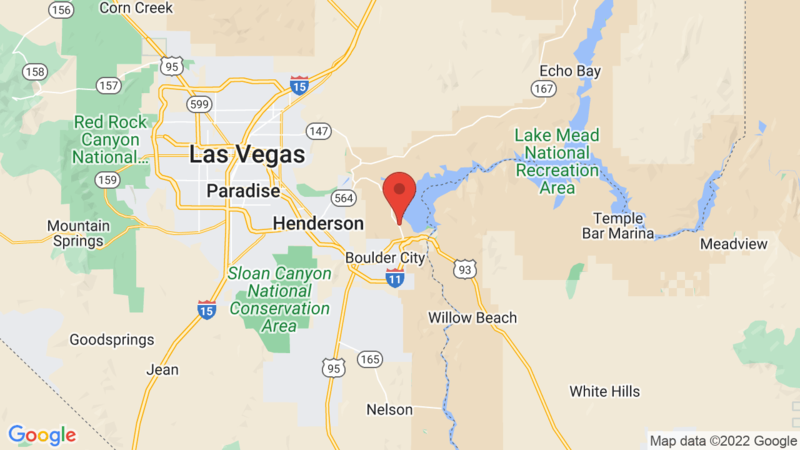 In addition to Las Vegas Bay campground, the 7 other campgrounds in the Lake Mead National Recreation Area include Katherine Landing, Cottonwood Cove, Willow Beach, Temple Bar, Echo Bay, Callville Bay and Las Vegas Bay. Lake Mead National Recreation Area offers striking landscapes and brilliant blue water. The area offers a fabulous outdoor playground spread across a landscape of geologic wonders, Lake Mead, Lake Mohave and the Colorado River. The unusual combination of desert and water is home to 900 species of plants and 500 species of animals. Lake Mead National Recreation Area has 8 visitor areas, 5 marinas, boat rentals, restaurants, hiking and biking trails, and 8 developed campgrounds. There are also three “National Recreation Trails” including the Historic Railroad Trail, River Mountain Loop Trail and Black Canyon Water. Visted Boulder Beach Campground lately? We'd love to hear about your adventure. Did you find us useful? Did we forget something? Anything our community should know before heading out to Boulder Beach? Beautiful photos! What month were these photos taken? Love the fall color! The photos of Boulder Beach campground/area were taken in December. FYI – we will soon be getting all campsite photos for other campgrounds in the Lake Mead Recreation Areas including Las Vegas Bay, Calville and Temple Bar.